This version of Acquia Cloud is not available to new customers. Faster Deployment: With easy and instant deployment of code, files, and databases between separate development, staging, and production environments, Acquia Cloud automates quality assurance and encourages continuous delivery. Total Application Assurance: Acquia Clouds application lifecycle management tools ensure that you have visibility into the health and uptime of your infrastructure, platform, and applications. Guaranteed Resiliency: With 24x7 monitoring, proactive issue investigation and resolution, and a guaranteed 99.95% infrastructure and site uptime SLA, Acquia Cloud is the most secure, scalable, and reliable Drupal-tuned platform. 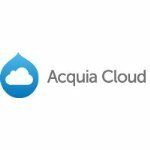 Acquia Cloud is a continuous delivery cloud platform optimized to run Drupal websites. Architected for resiliency and designed to accelerate deployment, Acquia Cloud is an end-to-end platform-as-a-service offering that provides everything you need to create, maintain, and optimize high-quality Drupal websites. It combines a fully managed, high-performance Drupal-tuned platform stack; an automated development workflow with site health and monitoring tools; a highly available, scalable, and secure infrastructure; and 24x7 monitoring backed by the most experienced and knowledgeable Drupal support team in the world. All of this allows you to reduce costs, simplify site management efforts, and eliminate operation headaches so that your team can focus on what really mattersinnovation. With confidence that your site is backed by a holistic approach to application quality, your team can build amazing websites while we do the rest. The Acquia Cloud Subscription helps everyone from professional developers to large enterprises achieve success in Drupal application lifecycle management. Acquia Cloud Subscriptions offer both self-service and ticket-based SLA support with 24x7x365 critical issue response. Please refer to seller website for refund and cancellation details. Great Drupal hosting where you don't have to worry about missing some Drupal best practice. They have an excellent CI tool, AWS elastic servers, Varnish, git, insight tools and on and on! We've been using this hosting with several clients and always recommend this for new clients. The deployment process is so simple. Drag and drop and you can spin up a production copy on your Staging environment. The Varnish setup makes things blazing fast! And I love the details of the acquia insight tool. Using Acquia services for 3+ years now. We are extremely pleased with the service. The features it provides and the services from Acquia employees is outstanding. We had a our site crash the other day, and they found the issue and helped us get the site back online. Feature-wise this is the cream of the crop. It's a bit pricey for the average user, but what you get for your money is a world-class host with world-class support. The Premium Drupal host solution. Acquia cloud is by far the best Drupal hosting solution especially for large-scale businesses who need reliability and first class support. They provide many features and valuable insights and tools which help make your Drupal site the best that it can be from a standpoint of security and best-practices.